Great trip. Rex (TABA tour rep) was the best. He came through with tickets and made our weekend! 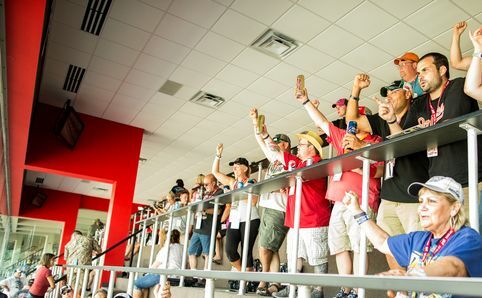 Experience our Bristol Night Race Packages for the Bass Pro Shops Night Race! 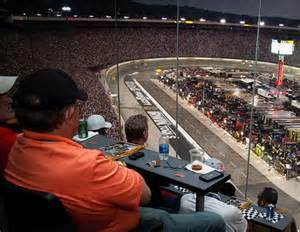 Our 2019 Bristol Motor Speedway Bass Pro Shops Night Race NASCAR race packages, travel packages and tours include excellent Bristol race tickets (the single most coveted race ticket in NASCAR) along with Xfinity Series Tickets, first class hotel accommodations at the Courtyard by Marriott- Bristol, VA (only 10 miles from the track), roundtrip bus transfers via deluxe motorcoach Friday and Saturday to Bristol Motor Speedway, Knowledgeable and experienced tour representatives, TABA ticket holder/lanyard, informative tour booklet and a pre-race tailgate party Saturday and more such as optional Bristol Motor Speedway pre-race track tours and optional scanner rentals. This is the single most popular race on the NASCAR circuit and our most popular package year after year. Reserve your package now as it sells out fast! Hit the high notes of the Crooked Road (Virginia's Heritage Music Trail) in Bristol, VA, a Blue Ridge Highlands hideaway crowned “The Birthplace of Country Music” and high-speed home to the Bristol Motor Speedway & Dragway. 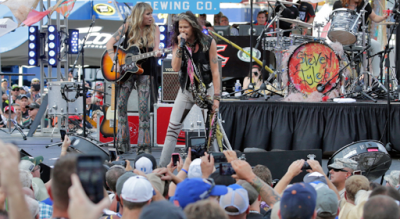 Music and racing buffs alike find plenty to cheer for in Bristol, a town that straddles both interests and the TN state line! Here, amidst the boot-scootin’ and engine-revvin’, sits the Courtyard Bristol, proud home to country music culture, Southern hospitality, and spacious rooms & suites well-equipped with comfortable beds, free WiFi, and mobile workspaces with ergonomic seating. Between your country-music pilgrimage and revving your engines at the racetrack, stoke your own adrenaline in our fitness center and heated indoor pool, then fuel up with healthy meals and evening cocktails at The Bistro, our onsite restaurant. It’s always a wild ride at our hotel near the Bristol Motor Speedway, the pitch-perfect choice for Bristol travels - but only on days that end in “Y”! Offering Starbucks specialty beverages, healthy menus, seasonal ingredients, and craft cocktails, The Bistro offer pitch-perfect dining in Bristol. A 2nd deposit to equal $600.00 per traveler is due by May 20, 2019.